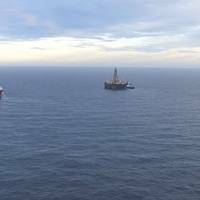 U.S. oil firm Chevron will become the first oil major to formally exit the Norwegian continental shelf (NCS) as it transfers its last stake in an exploration license, according to a government letter.Oil majors, including Exxon Mobil, BP and Shell, have scaled down their presence in Norway by selling or merging their assets in the mature region to focus on new growth opportunities elsewhere.Chevron is also seeking to sell assets in the British North Sea in order to focus on growing U.S.
Prosafe has signed a contract with Aker BP ASA for the Safe Scandinavia to provide accommodation support at the Ula platform in the Norwegian sector of the North Sea. The firm duration of the contract commencing mid-August 2018 is seven months with eight one-month options. Total value of the contract excluding the option periods is approximately USD 25.5 million. The option periods, if exercised, have a total value of approximately USD 36.7 million. 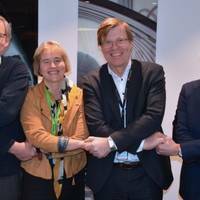 The contract will ensure employment of the Safe Scandinavia soon after expiry of her previous contract that concluded end-June 2018. 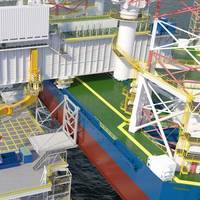 A new test project in Norway looks to employ specialty software for the optimization of floating production storage and offloading (FPSO) maintenance.Lloyd's Register (LR) said it is using its RTAMO software to support AkerBP in an effort aiming to optimize maintenance activities for the Skarv FPSO infrastructure and equipment.RTAMO, which stands for Real-Time Adaptive Maintenance Optimization, is a standalone cloud-based software-enabled service that uses predictive algorithms linking planned maintenance to economic and reliability outcomes. 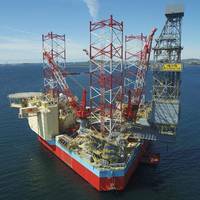 Maersk Drilling awarded GustoMSC the first order for the uniquely designed crane Chela, which is to be installed on Maersk Invincible (GustoMSC CJ70 design) which is currently operating on Valhall for AkerBP. Chela is desgined to improve safe handling underneath the cantilever and reduce total time spent on wells. Chela offers an extra hand in operations as, due to its crablike motion characteristics, it can reach below the cantilever as well as elevate towards the main deck, providing crane access to an area traditionally blocked by the cantilever when drilling. 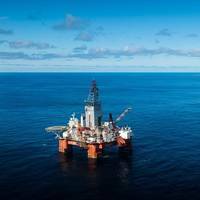 Offshore rig firm Odfjell Drilling plans to expand its floating rig fleet to between six and 10 from four now, it said on Friday, the latest sign of recovery in the energy industry.After cuts in exploration spending following an oil price plunge that began in 2014, energy firms are now hiring rigs as crude prices have recovered some ground.Odfjell raised $175 million via a new share issue on Thursday to help buy semi-submersible Stena Midmax Rig from Samsung Heavy Industries for $505 million. 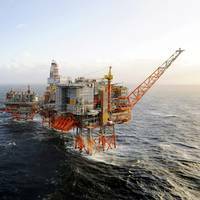 Kvaerner has entered into an agreement with Allseas for the recycling of the topside and bridge of the 36-year-old Valhall QP platform when Allseas removes this installation for operator Aker BP in 2019. The structures will be deconstructed during winter 2019 and spring 2020. 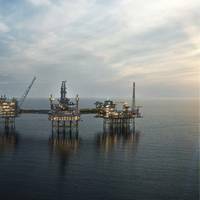 Kvaerner has also signed a contract with Saipem Uk for disposal of the Varg A installation. 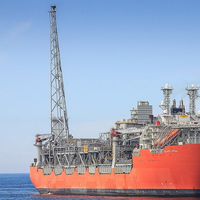 Saipem will remove the installation from the field on behalf of Repsol. 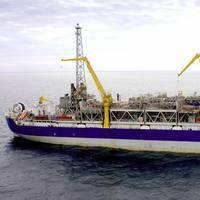 Varg A was originally delivered by Kvaerner’s yard in Verdal, Norway in 1997. 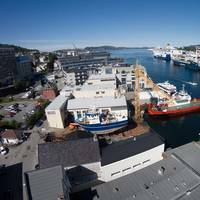 Solstad Farstad ASA (SolstadFarstad) entered a contract for the PSV, Far Solitaire, with Aker BP for a period of three months firm with further three months option, commencement of contract is mid-January 2018. In addition, Petrobas - Petróleo Brasileiro S.A has extended the present contract for AHTS BOS Topazio with 180 days to February 2019. Meanwhile, Farstad Supply AS, a wholly owned subsidiary of SolstadFarstad, has sold the AHTS Far Grip (1993 built, 14.389 BHP). The vessel was delivered to the new owner on December 12. 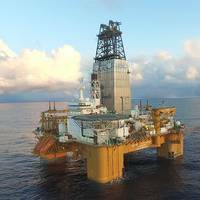 Odfjell Drilling signed a contract with Aker BP ASA for Deepsea Stavanger (6th generation semi-submersible) for a period of approximately 9 months with commencement in February 2018 and completion around October 2018. 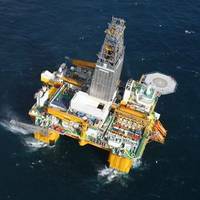 The contract is for exploration and development drilling at various locations in the Norwegian Sea and the Barents Sea. 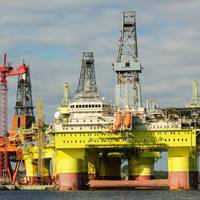 The contract will follow from the estimated completion of the Wintershall Maria contract and continue until the Deepsea Stavanger is due to mobilise to South Africa to complete one well for Total. 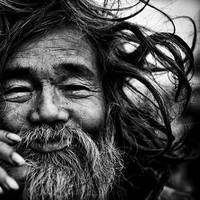 The contract value is estimated up to USD (68) million.